MADe is a software solution based on a model which can be used at all stages of the design process that can offer great and accurate representation of the system and ensure the configuration management of its expected efficiency. MADe has some unique automated features that significantly improve the quality of the generated analysis, for example, the mapping of dependencies, functional reliability and generating a plurality of sensors. The intuitive interface of the program MADe lets you easily create and update the model parameters for each repetition of system design or operational data - and acts as a strong potential for knowledge management. 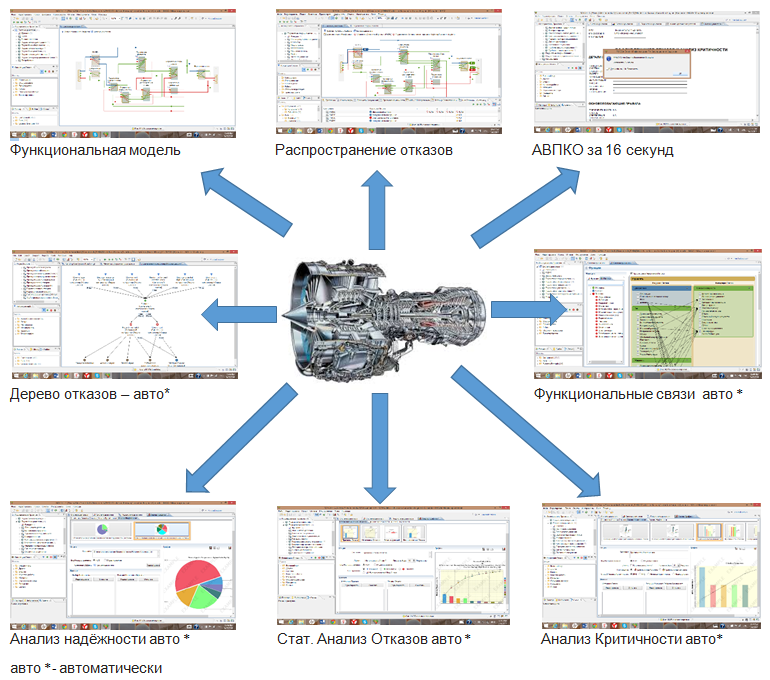 This allows for a configurationally controlled analysis systems: projects and their maintenance schedules can be developed, reviewed and optimized on the availability and cost based on the most current data, at any stage of the design process.